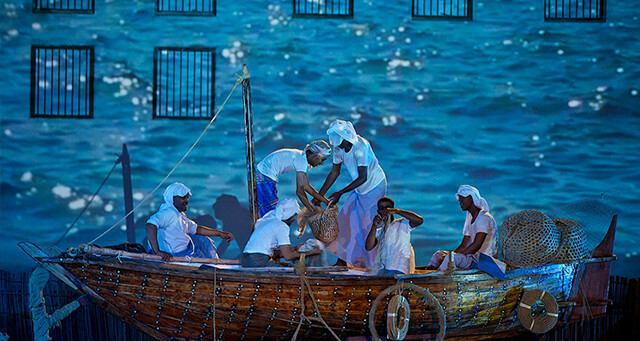 The Qasr al Hosn Festival is an annual opportunity for the UAE community and visitors to experience both the tangible and intangible heritage of the Emirate through a variety of fun and educational activities, designed to reflect over two and a half centuries of Emirati and Abu Dhabi history. In 2014, these activities, which built on the success of the festival’s first edition in 2013, presented the fort in context and put Qasr al Hosn into the cultural life of Abu Dhabi today. They also strengthened our appreciation of Emirati heritage and identity. The 2014 festival allowed visitors to experience this culture and history through interactive workshops and sessions on art and culture, demonstrations of traditional Emirati skills, guided historical tours and exhibitions, and a rare opportunity to explore areas of the ancient Qasr al Hosn fort.